In his book, WELGORA, Alan Langford writes about growing up in the New Forest, where his fascination for horses and the Romani people started when he lived with his family in a caravan at Drapers Copse, Dibden. Alan’s instinct to draw and paint began with childhood attempts to copy a horse’s head from the comic, The Robin, then developed when as a young man working at Peko Mines, Australia, he decorated the walls of his fellow workmates’ huts with paintings of Amazonian beauties. 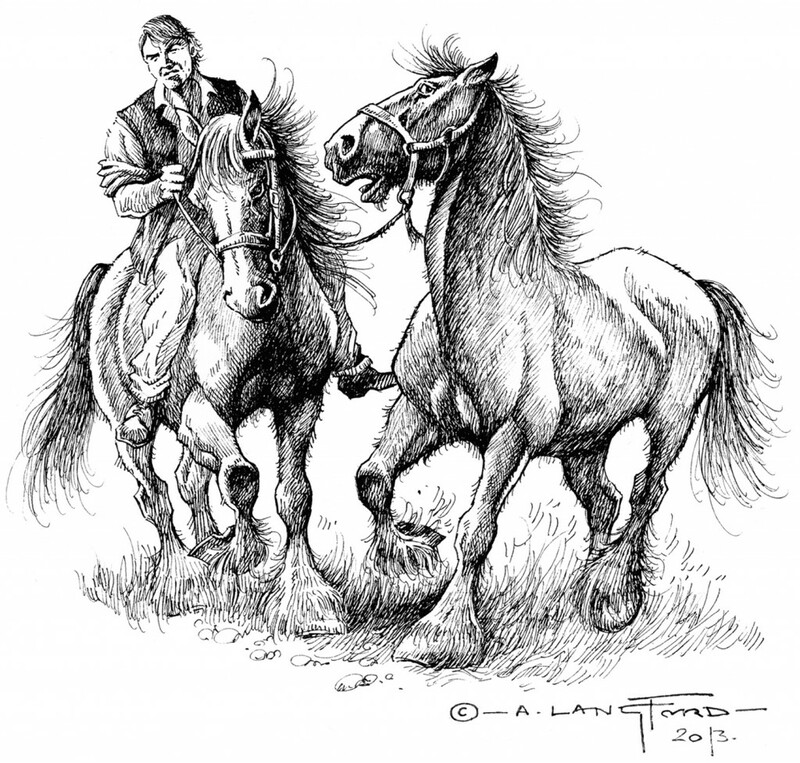 It continues today with Alan a full time artist and member of the Society of Equestrian Artists.